While the Cloudbabies are busy preparing for night-time, Bobo looks after the Skyhorseys by himself, but it isn't long before they escape! Will the Skyhorseys ever get back home? Find out in this classic storybook. When Bobo White finds a brush and some paint, he gives Sun a new colour. But a purple Sun can't shine properly. You see Sun isn't really a Sun unless he's yellow. Will the Cloudbabies put things right in time? 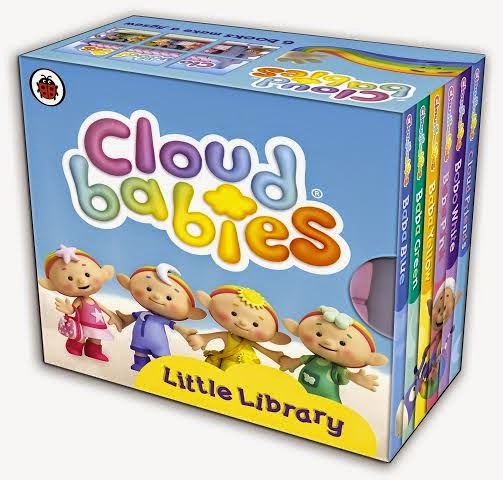 Help the Cloudbabies do all their special sky jobs in this fun activity book. 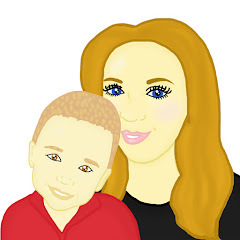 With colouring, drawing and big stickers too, it's perfect for keeping little hands busy! 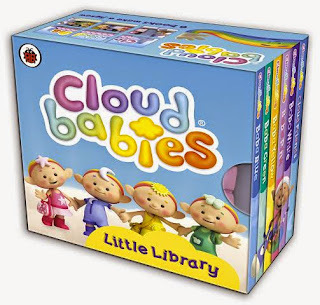 This six book Little Library is the perfect introduction to the Cloudbabies and their friends. Meet Baba Blue, Baba Green, Baba Yellow, Baba Pink, Bobo White and the Sky Friends in this mini board book set. Plus there’s even more fun for children as they piece together the books like a jigsaw to create a lovely stable scene from the programme. This Christmas Mummy To The Max has the opportunity to offer one lucky reader the chance to win an amazing bundle of Cloudbabies books. To enter all you simply need to do is enter the simple rafflecopter below.